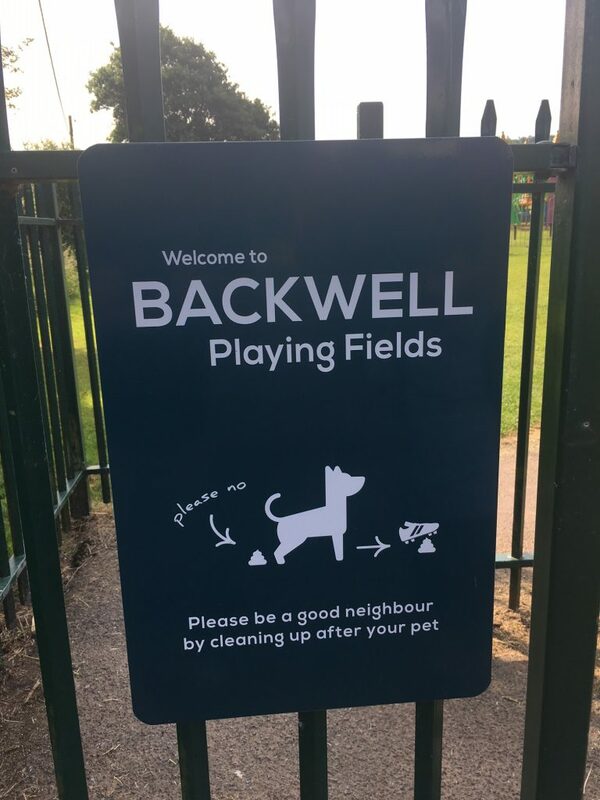 Fanatic team member Ian recently gave the Backwell Playing Fields a new look! 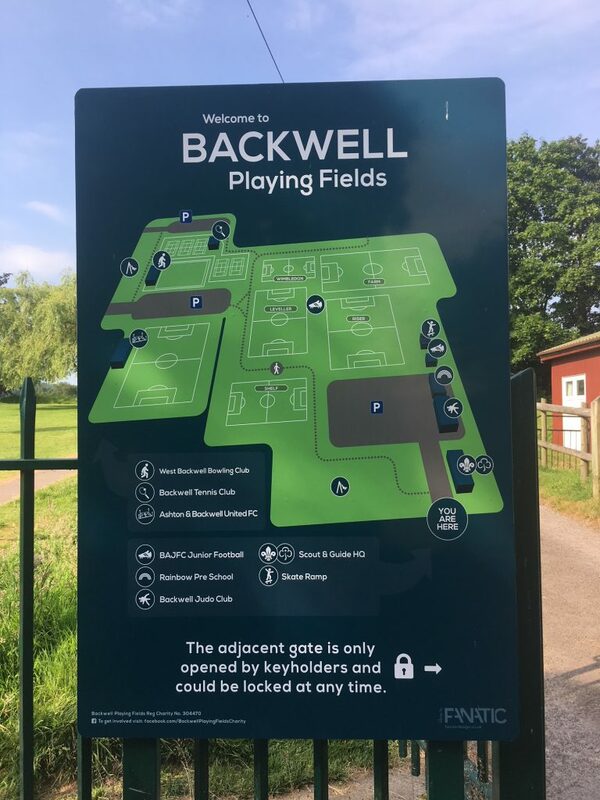 The local Backwell Playing Fields have recently installed new signs designed by Fanatic. 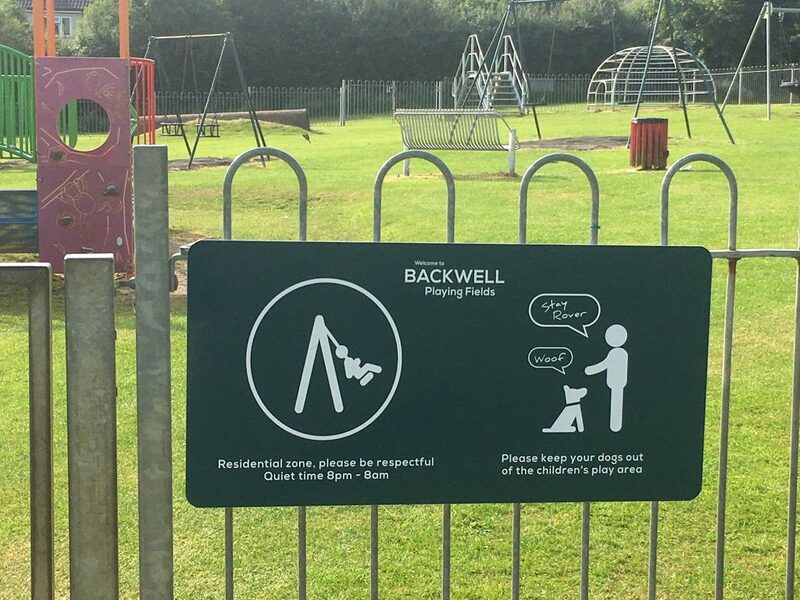 These clean, contemporary graphics are a great fit for this family favourite local playing area. We’re really proud of how the designs turned out and have already had lots of positive feedback from regulars and new visitors. It was all worth it, despite the horrible weather on installation day! If you’re ever in the area make sure to stop by and check them out!